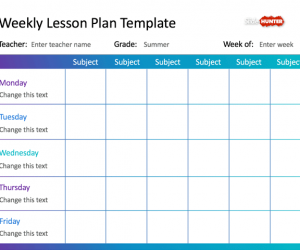 This free weekly lesson plan template is a customizable and printable lesson plan form that is created in PowerPoint. It is ready to be filled with the week’s objectives and goal. It can be customized to your own teaching needs and it is compatible with major versions of Microsoft Office.